PORTLAND, Ore. (AP) — Deron Williams had a season-high 30 points and the Mavericks defeated the Trail Blazers 115-112 in overtime Tuesday night in Wesley Matthews’ first trip back to Portland since signing with Dallas as a free agent. Dirk Nowitzki added 28 points and Matthews finished with 18 points in his return as the Mavs snapped a four-game losing streak on the road. 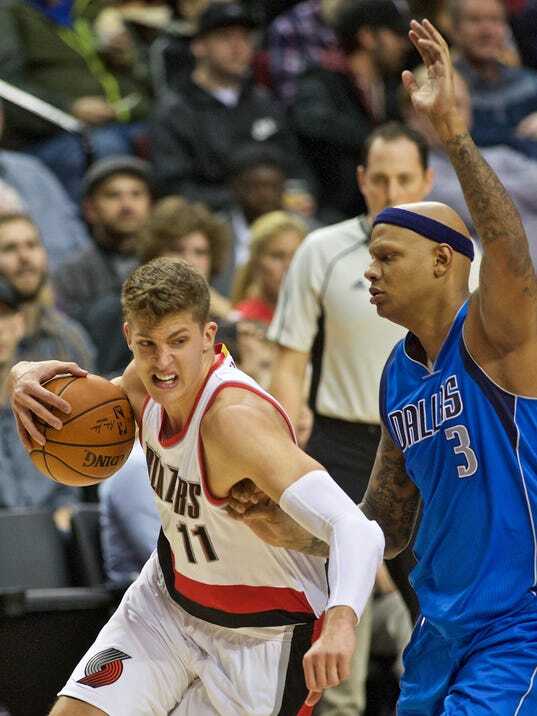 Matthews hit consecutive 3-pointers to pull the Mavericks to 89-85 as Dallas closed in on Portland in regulation. Nowitzki’s 3-pointer narrowed it to 96-94 before his tip shot tied it, and Damian Lillard missed a 3 at the buzzer to send the game into overtime. The Mavs outscored the Blazers 9-3 to open the extra period, taking a 103-99 lead on Nowitzki’s long jumper with 1:20 left. Lillard’s layup got Portland to 108-103, but ultimately the Blazers couldn’t catch up.